“Sometimes when he opens his eyes, I call out his name in the hope that even for a split second, I can see his eyes light up with recognition. But he stares blankly at me. I keep telling him “Sameer beta, mumma is here” but he doesn’t make a sound. Sometimes he moves his little hands and feet, but my baby is lost amidst all the tubes and machines around him. 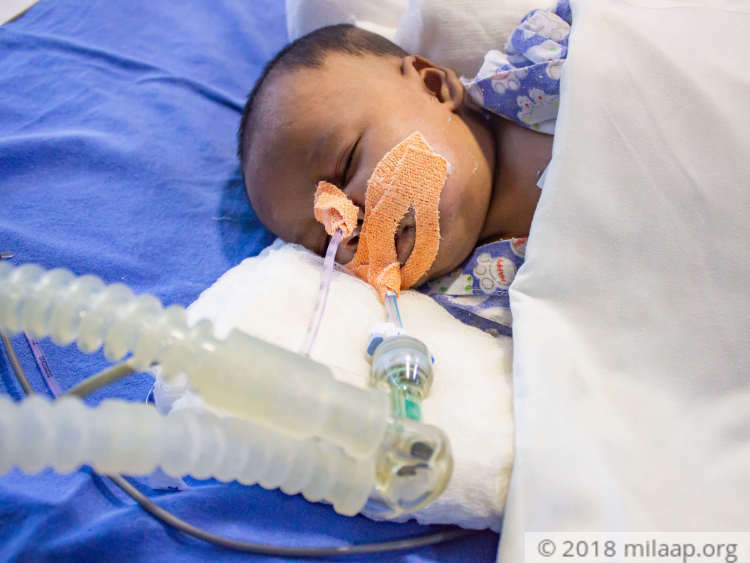 It’s the only thing keeping him alive, and in my heart, I know that we’ll lose him if we can’t keep him here.” - Sufiya, Baby Sameer’s mother. 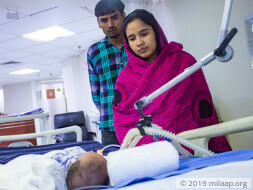 In the quiet corner of the PICU, 2-month-old Sameer wakes up every day, alone, to the beeping noise of the machines around him. For all the little one knows, this is what life entails. 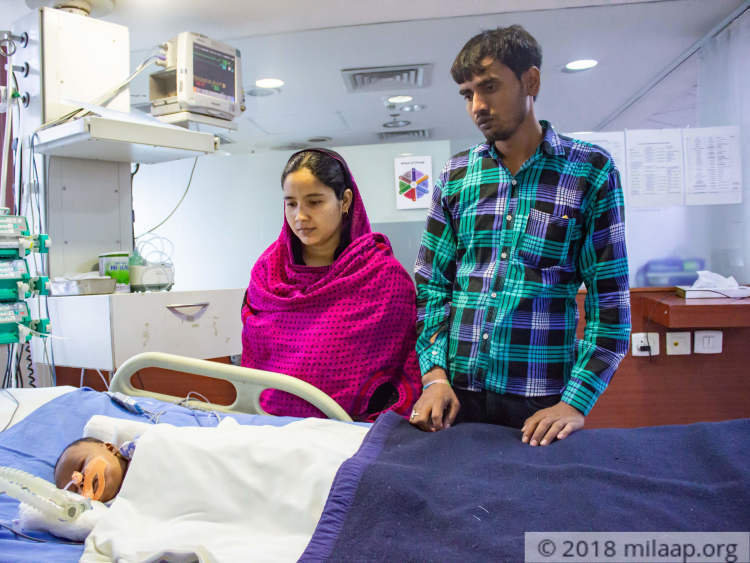 But his heartbroken parents, Sufiya and Murshid, know that there is a happy, healthy life waiting for their baby outside the hospital. Unfortunately, without treatment, their baby won't survive. 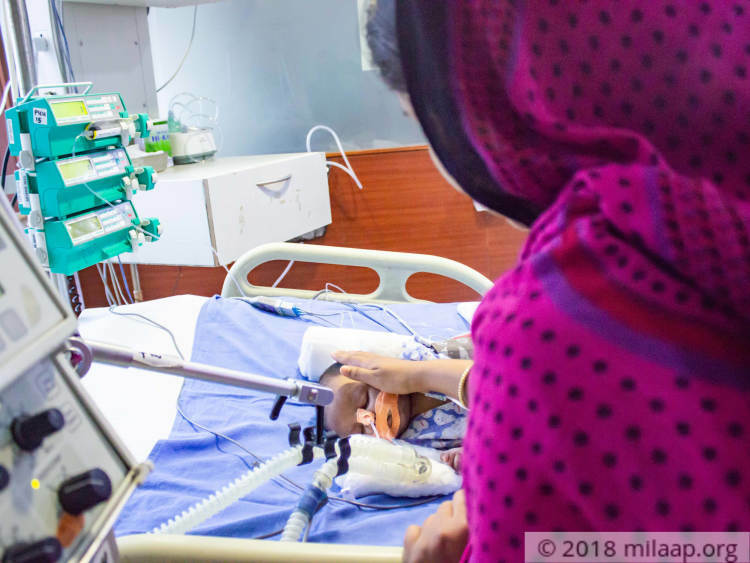 For over 2 weeks now, Sufiya and Murshid had been taking turns to stay at the hospital where their baby is suffering from severe pneumonia and infection. Sufiya spends the day there, while Murshid rushes to the hospital after work and spends the nights on the floor of the waiting room. Before Sufiya got pregnant with Sameer, she worked as a domestic help in their hometown in West Bengal. However, with the news of her pregnancy, Sufiya didn’t want to take any risks with the baby and decided to stop working till the delivery. 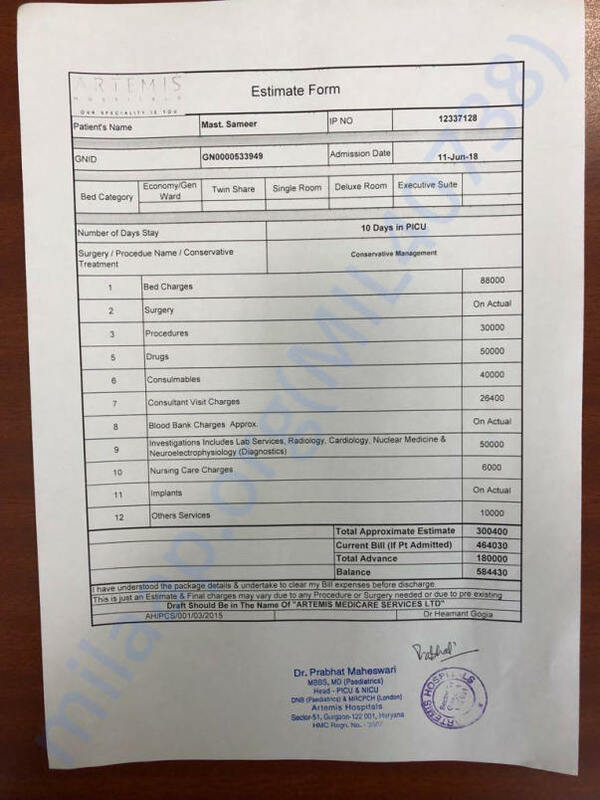 Murshid washes cars for a living and earns a meager amount. They have already spent nearly 2 lakhs on his treatment by borrowing from relatives, but it’s not enough. Sameer needs almost 6 lakhs to stay in the PICU, without which, he won’t make it and his devastated parents will lose another baby. Baby Sameer needs to stay in the PICU for 10 more days to recover from severe pneumonia and infection. He’s on ventilator support and he isn’t healthy enough for a life outside the PICU yet. Sufiya and Murshid’s life is at a standstill, and all they pray for is that their baby boy is saved. Sameer can only make it with your support.